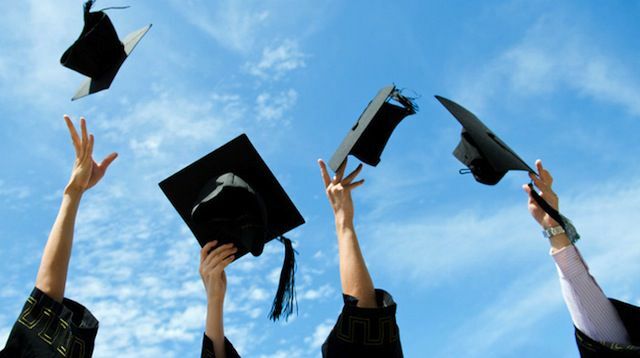 If you have a child about to graduate college or with an advanced degree, congratulations! Earning a bachelor’s, master’s or PhD is a tremendous accomplishment. They should be extremely proud. If they are going into the workforce, there will be a big adjustment. Parents can help the newly minted graduate in multiple ways. The focus of this commentary is helping them save. Saving may not seem an urgent priority. The graduate has 50 years or so until retirement, and perhaps 5-10 years before buying a house. There are more pressing issues – for starters, moving and finding an apartment. But saving, especially saving for retirement, is in that category of important but not urgent … until it is urgent. By that time, it’s too late. If the new graduate does not start saving now – even a small amount – they may find, in 10 years, that they have saved nothing and are playing catch-up. Parents: if you have the means, here are three ways you can help your recent graduate to start saving. 1. Match some of what they put into savings. It’s like a company match in a 401(k) – “free money”. Of course, you need to agree that your child won’t spend the money, perhaps with certain exceptions. Parents can set up a separate account they own, or a trust, if you want to control it. But it will have the greatest impact on the saver if it’s in their own account, where they can see and touch it. 3. Give your children appreciated securities. If you have owned stock or mutual funds for a very long time, there may be a huge “unrealized” gain – which will cause a tax if you ever sell it. One option is to hold it until you pass away. Your heirs will get it without any capital gains tax. But if you want to help your children boost savings now, you can give them shares you are least likely to sell in retirement. Parents, you can combine options 1 and 3, using your appreciated securities to match your child’s annual savings. As a reminder, to avoid reporting to the IRS, you can only give $15,000 to any one person in a calendar year. If you are married, you and your spouse can give $30,000 combined. Before your child saves into any retirement account, they should have an “emergency fund” of cash they can access if they are between jobs. It should probably cover 3-6 months of expenses. They should also consider whether paying off student loans more aggressively is better than saving for retirement. It depends on the loan terms, including the interest rate. But most student loans have low rates, and paying them off early often does not make sense. The #1 financial priority parents have is to themselves. Your children have a lot more time than you do to save for retirement and any other financial goals. If you are not sure you can afford retirement, minimize what you give to your children. But if you do have the financial resources, you have a great opportunity to guide your kids toward a strong financial future. Author’s note: Thanks to Charles Schwab & Co. for several of the key ideas in this commentary.